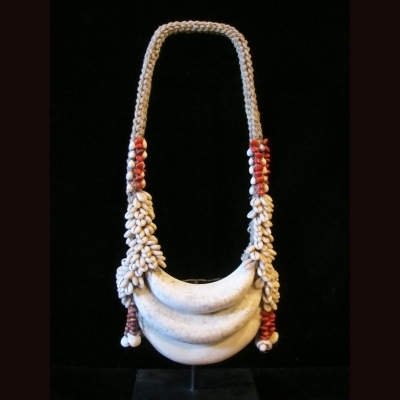 This elegent papua necklace is made of coral, cowry shells and red coral wood . 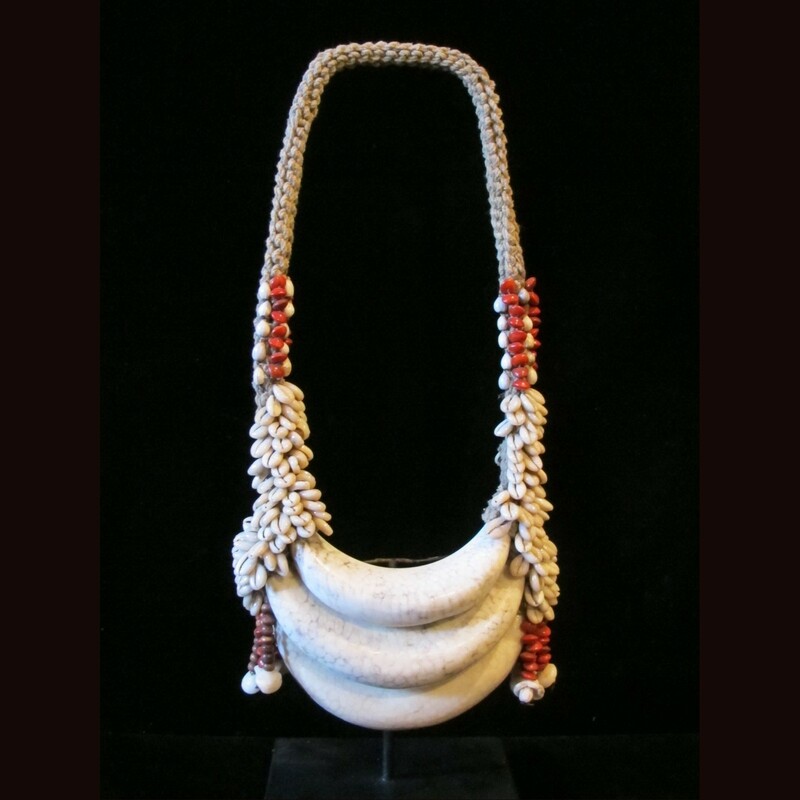 In papua this necklace is use as bridewealth payment for prominet families and are kept as an hairloom .this necklace has very beatiful coral with very nice grain . see photos for details. item - H 40x18x6 cm .